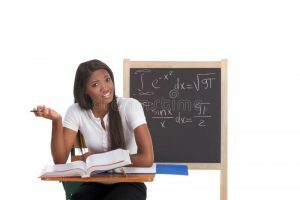 There are 3 A level programs that are considered the best when it comes to programs that should help in getting admission for those students that have been left frustrated by tertiary institutions. Students that have applied and registered for these programs can testify how these programs have really helped them in gaining admission in their favourite institutions. IJMB is an advanced level which is largely known to last for at least nine months. It also certified by Nigeria University Commission (NUC). IJMB was simply formed to serve as an alternative way of getting admission into the tertiary institutions. i.e 200L via direct entry. It was established by Interim Common Services Agency (ICSA) in the year 1976. IJMB was also founded by Ahmadu Bello University (ABU) Zaria. It was established for those students who have been left frustrated in studying in the university. Therefore, IJMB is largely known and approved in many Nigerian institutions. It is also noticed that IJMB registration fee is estimated at N5000, while the school fees are estimated at the prices between N 70,000 and N180,000. i.e public centres and private institutions. JUPEB also called or known in full, joint universities preliminary examinations board is a National examination body obliged with the responsibility of setting examinations for students who are seeking to get admission in the tertiary institution and have also gone through approved combination of subjects. i.e Direct Entry. Also, it was founded and established by University of Lagos (UNILAG) and it should be observed that JUPEB came after IJMB was set up. 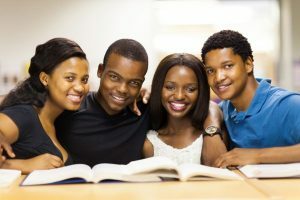 JUPEB is presently going nationwide as most tertiary institutions accept it including tertiary institutions in the South East and South West are mostly using it. JUPEB exam is largely known to hold between the months of June and July every year. Only those students who manage to beat the maximum point will be taken to study their favourite courses or first choice course and it is expected that the result will be released after 2 months the exam must have been taken. JUPEB registration fee is estimated at N15,000 while the school fees are estimated at the prices of N280,000 and N 450,000 respectively. CAMBRIDGE A level programme is largely recognized and approved in all Nigeria federal, state and private universities. It should be observed that it is not only approved nationwide but abroad too. Students with good grades and results have huge chance to get higher education learning institutions round the world. Also, the programme runs for a minimum period of twelve months and a maximum of eighteen months and is also divided in two semesters. CAMBRIDGE A level program registration fee is fixed at N10,750 while the tuition fee is estimated at the prices of N 90,000 to N100,000. Previous Post:IJMB Or JUPEB: Which One Is Better As Advance Program?